If you get arrested for a felony charge in Philadelphia, you will usually go through preliminary arraignment within 12-24 hours and then receive a court date for a preliminary hearing. A preliminary hearing is a short hearing at which some of the Commonwealth’s main witnesses in the case will testify subject to cross-examination, and a Philadelphia Municipal Court Judge will then rule whether the Commonwealth has presented sufficient evidence to show that a crime occurred and that the defendant probably committed it. Recently, however, the Pennsylvania Supreme Court amended the Pennsylvania Rules of Criminal Procedure to give prosecutors the ability to dispense with the requirement of presenting live testimony at a preliminary hearing. Instead, prosecutors in cases in which there is a risk of witness intimidation may try to proceed by indicting grand jury. Indicting grand juries are usually used in cases involving violent crimes such as Attempted Murder, Aggravated Assault, and Witness Intimidation. In Philadelphia, they are often used to prosecute non-fatal shootings. What is an Indicting Grand Jury? The indicting grand jury process is a secretive process which allows the prosecution to avoid presenting its witnesses in open court at a preliminary hearing where they would be subject to cross-examination. Instead, Rule 556 of the Rules of Criminal Procedure provides that a Court of Common Pleas may proceed by using an indicting grand jury in cases in which witness intimidation has occurred, is occurring, or is likely to occur. Instead of presenting its case at a preliminary hearing following the defendant’s arrest, the prosecution may file a motion to move forward by way of indicting grand jury. The motion must allege facts asserting that witness intimidation has occurred, is occurring, or is likely to occur. The defense does not get an opportunity to contest the allegations in the motion. Instead the president judge or a designee of the president judge for the judicial district reviews the motion ex parte (meaning without the defense present) and decides whether or not the Commonwealth has met its burden of alleging some risk of witness intimidation. If the judge rules that the Commonwealth has met that low burden, then the court will cancel the preliminary hearing and schedule the case for a hearing in the Court of Common Pleas. The Commonwealth will then have 21 days to present its case to the grand jury for indictment unless the defendant waives his or her right to an indictment by grand jury or the Commonwealth chooses not to proceed. If the Commonwealth chooses not to proceed, then the defendant should receive a preliminary hearing in front of a Court of Common Pleas Judge. In Pennsylvania, an indicting grand jury is made up of 23 legally qualified jurors and between 7 and 15 alternates. The supervising judge examines the grand jurors to determine whether or not they can be fair when hearing cases, but the defense has no ability to challenge grand jurors for cause as the defense would in a criminal trial prior to an indictment. Fifteen members of the grand jury constitute a quorum, and an affirmative vote of twelve members of the grand jury will be enough to indict a defendant on felony charges. Once the grand jury has been selected, the Commonwealth may present its case to the grand jury. This means that the Commonwealth may call some of the witnesses or victims in the case and often the assigned police detective to testify. The grand jurors hear that testimony and then decide whether or not they should indict the defendant. This testimony is recorded and eventually turned over to the defense, but there is no defense attorney in the room to make evidentiary objections, cross-examine witnesses, or make argument to a judge or the grand jurors that the evidence does not support the charges. What happens if I get indicted? If the grand jury votes to indict the defendant, then the Commonwealth notifies the defense and the supervising judge at a status hearing in the Court of Common Pleas. The judge will then schedule the case for a scheduling conference before the judge who will hear the trial. That judge will then set two court dates – a first date on which the Commonwealth must turn over discovery, and a second date for trial which will be sixty days after the discovery date. In many cases, the trial date may not be for eight months or more, so a defendant could be incarcerated due to a high bail or a probation detainer for up to six months or more without any access to the discovery or without even knowing the specific allegations against him or her. A defendant who has a preliminary hearing has the opportunity to move for dismissal of the charges just a few weeks after arrest, but a defendant who is indicted may not be able to challenge the charges for months or even years. Grand jury cases, however, are supposed to receive priority on the trial date, meaning that they should go forward even if other cases on the judge’s docket are older or more serious. Will I still get a preliminary hearing? No, if the Commonwealth chooses to proceed by way of indicting grand jury, then you will not receive a preliminary hearing even if you are facing felony charges. Instead, the Commonwealth will conduct the secret grand jury hearing. If the grand jury chooses to indict, then you will be indicted without ever having had an opportunity to challenge the evidence against you in open court. You do, however, retain the right to file pre-trial motions to dismiss/quash the charges just as you would if a preliminary hearing occurred. In a limited number of cases, the Commonwealth may file the motion to proceed by way of indicting grand jury and later change its mind and schedule the case for a preliminary hearing. In that situation, you would have a preliminary hearing before a Court of Common Pleas judge instead of with a Municipal Court judge. This is a significant disadvantage for the defense because this procedure prevents the defendant from litigating a Motion to Quash. When the defendant is erroneously held for court at a preliminary hearing by a Municipal Court judge, the defendant may file a Motion to Quash (also called a Petition for Writ of Habeas Corpus in the suburban counties) and ask a higher-ranking Common Pleas Judge to review the charges. A defendant who has been held for court by a Common Pleas judge, however, cannot really litigate a Motion to Quash because a Common Pleas judge has already ruled on whether the Commonwealth presented a prima facie case. A Common Pleas judge cannot overrule the first judge’s decision because they have the same level of authority. What is the difference between an Indicting Grand Jury and a Preliminary Hearing? A Philadelphia preliminary hearing takes place in open court and proceeds in a similar manner to a criminal trial. The prosecution calls a number of witnesses to testify as to what happened in order to try to establish a prima facie case of each criminal charge, and the defendant’s lawyer then has the opportunity to cross-examine those witnesses. The defense may also present evidence after the Commonwealth has rested. Once both sides have rested, the lawyers may make argument to the Municipal Court judge on why certain charges should be dismissed or the gradation of charges should be reduced. The judge will then decide whether to hold the defendant for court on the felony charges, remand the case to Municipal Court for trial on misdemeanor charges, or dismiss the case altogether. The defense may also make a bail motion or a motion for a lineup at a preliminary hearing. The indicting grand jury process, however, is secretive and provides the defendant with few rights. The defendant is typically arrested, held on a high bail due to the allegations of witness intimidation, and not provided with any opportunity to challenge the case until shortly before trial or at trial. The witnesses may testify to the grand jury, but they are not subject to cross-examination, and the defense may not present evidence to the grand jury. The rules of evidence are often enforced to some extent at a preliminary hearing, meaning that a hearing cannot proceed entirely on hearsay, but the defense is not present to make evidentiary objections at a grand jury hearing. The defense lawyer also may not argue to the grand jury that the Commonwealth has failed to prove a prima facie case of the charges. Therefore, the Commonwealth can usually get the grand jury to indict on whatever charges it wants. Can I still file a Motion to Quash the charges? Yes, despite the significant disadvantages to a defendant who has been charged by way of indicting grand jury, there are still opportunities to challenge the charges prior to trial. For example, a defendant may still file a motion to quash the charges and argue to the Common Pleas judge that the prosecution failed to meet its burden of establishing that a crime occurred and that the defendant probably committed it. The defense may also file motions challenging the jurisdiction of the grand jury, asserting an expiration of the statute of limitations, or an objection to a grand juror’s qualifications. The defense may also file any other pre-trial motions such as a motion to suppress evidence which was illegally seized or motions in limine. Although a defendant who has been charged by way of grand jury in Philadelphia is at a disadvantage due to the lack of a preliminary hearing, there are still often ways to challenge the case through pre-trial motions. Additionally, the defendant is still entitled to a trial before a judge or jury at which the Commonwealth must prove the charges beyond a reasonable doubt. If you are facing criminal charges or under investigation, we can help. 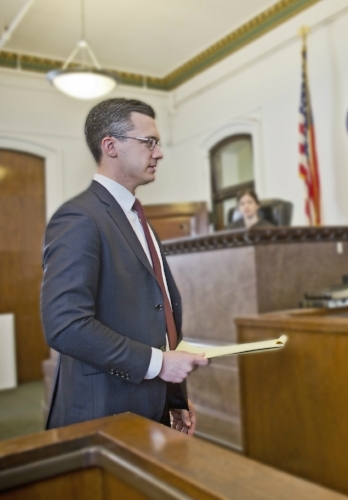 Our experienced and understanding Philadelphia criminal defense lawyers offer a free 15-minute criminal defense strategy session to any potential client. Call 267-225-2545 to speak with an award-winning defense attorney today.